BioWare's cancelled Dragon Age might have been something great. 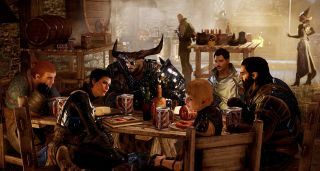 It remains to be seen what kind of game Dragon Age 4 winds up looking like, and even Kotaku’s sources admit they aren’t sure. What the Dragon Age team originally envisioned for it sure sounds like a remarkable game, though. As one developer remarked, "I'm sad that game will never get made." Hopefully, whatever the new Dragon Age is, it has a chance of ending up in our round up of the best RPGs of all time.